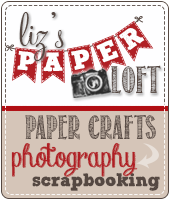 Liz's Paper Loft: MCT December Sneak Peek #3 ~ Mr & Mrs Card! 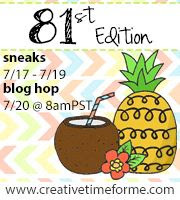 WooHoo, it's day 3 of My Creative Time's December release! I bet you can't wait to get your hands on these beautiful stamps and dies! You only have to wait one more day! I've been telling you the last couple of days that this release can be used for more than Valentine's Day. Today's card is a wedding card that is really a simple card. However, with My Creative Time Dies and great papers it looks like so much more! I used the Stitched Scallop Heart Die with two sided paper, then turned the center heart over to expose the other side. It fits perfect inside the heart. To get the over sized pearl to stay in side the flower, after rolling it, I snipped the center of the flower out. The pearl then sits perfectly without any wobble. P.S. If you watched Emma's video today in it's entirety, she had a few announcements in there for you! The MAIN announcement she wanted you all to know is that starting TOMORROW (Monday, December 31st) @ 8am PST, you can use the code: NEWYEAR at checkout in her store HERE to get 20% off your entire purchase! YEP, that is even including ALL of her stamps that are 40% off right now here! This sale will end on Sunday, Jan 6th @ midnight PST! Beautiful card Liz I love it!!!! Beautiful card for a wedding! Very Beautiful. Love all the different papers.. Awesome. I love the vintage look of this card. Thank you for inspiring me and sharing your creations. 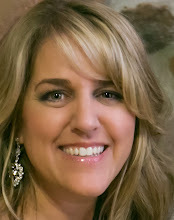 What a STUNNER Liz!!! I LOVE LOVE LOVE this!!! The papers, the dies and the new stamps are awesome!!! TFS and have a GREAT rest of the weekend!! 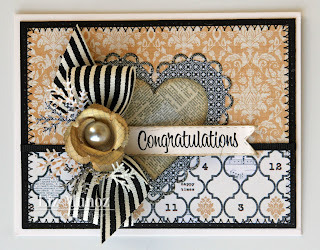 Elegant and classy - an all-around gorgeous card! Thank you for showcasing the versatility of the new release! Wow! What a beautiful card! Everything from the stitching on the dies to the paper colors is beautiful! 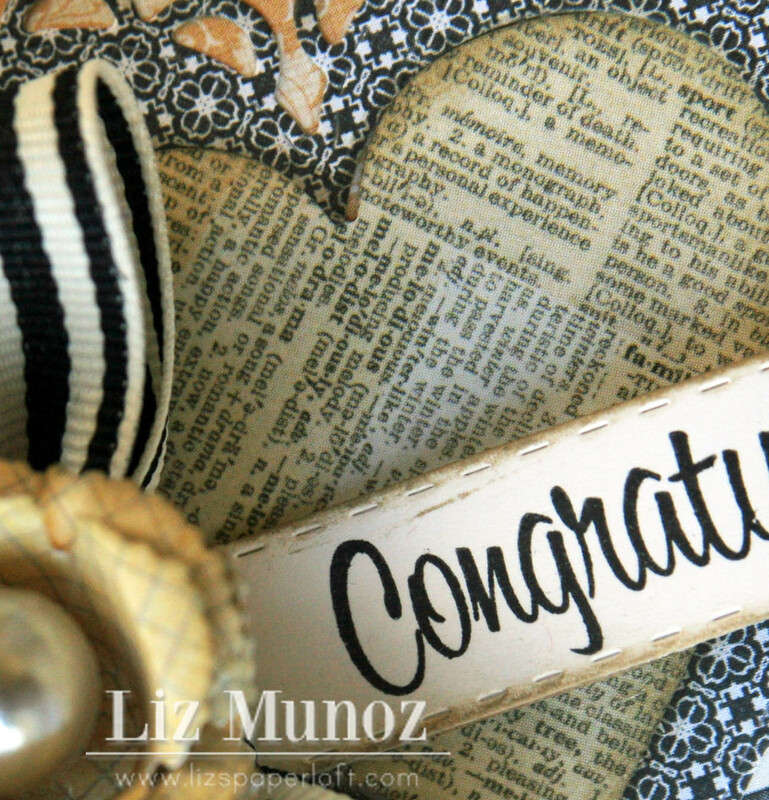 I'm not even engaged but I want to get married so I can get a Congrats card like this one! LOL I can't stop looking at all the elements! This is why I love Emma's products & design team, you ladies do such a great job demonstrating the versatility of her products! This is about the most beautiful card I've ever seen! I can't stop looking at it! So elegant. Great job, Liz! Headed over to your store in a bit...haven't looked in a while. This is just awesome! Thanks for the inspiration. Simply stunning! Gosh I love everything about this card. Beautiful use of all of Emmas products! Wow! This is absolutely gorgeous, Liz! That combination of the bow with the branches and the gorgeous flower with the pearl center is unbelievable!!! So elegant with all the embellishments and color choices. Love the non-Valentine approach. This card is gorgeous! TFS! Such an elegant card, LOVE IT! Liz, this card is amazing! so elegant! thanks for sharing! can't wait til I can order mine tomorrow! It's beautiful great card. Great for a wedding card or anniversary. Can't wait to start ordering tomorrow. This card is absolutely gorgeous. Wow! Gorgeous card! 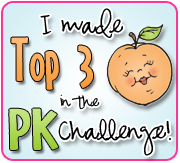 I love the ribbon and the red striped ribbon that Emma used! They are so elegant! Oh how I love this card. Love the colors, the design and beautiful embellishments. Liz girl your card is gorgeous gosh how do you keep coming up with such awesome ideas you sure are one fantastically creative gal so glad you make the time to share!! Great colors and love the scalloped heart. GORGEOUS!!!!! I love this card!!! You create such beautiful work!!! Your card is so elegant. Just love it. Your card is beautiful! Great job. What an elegant card. Loved all the projects over the past couple of days. Can not wait until tomorrow to order my own. You card is so elegant! Love the 2 sided paper! Really awesome card!! Cery vintage/elegant!! 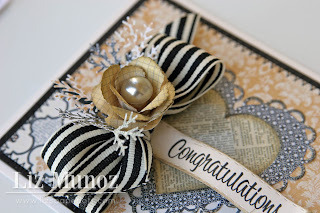 Wow..this is just beautiful...love the paper combinations you used! I love this card! It is GORGEOUS!!! 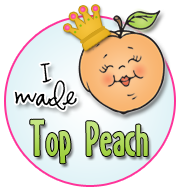 Thanks for sharing how you did the pearl inside the flower...tfs! Wow, such a beautiful card, thanks for all the ideas, you did a great job. Absolutely stunning! Love it! Happy New Year Liz! This is sooo very elegant and pretty I love it!! That card is gorgeous! Love how you used the dies for a card that was not for Valentine's Day. Just beautiful. Gorgeous card for a wedding! LOVE your card! The colors are great together. That big bow going down really makes it perfect! All I can say is WOw.....so elegant...love it!! WOW! This is GORGEOUS!!! I LOVE the colors - and the beautiful bow and flower!!! That is an absolutely beautiful card! the colors are well blended! Good to know you can just flip the heart and they are the same shape perfectly! I love the papers you chose because I would not have expected them to look good and there they are looking beautiful. Don't you love the wispy softness of that branch punch?? I can't wait to get this set! Beautiful card! Wonderful card! I like all of the patterns you incorporated into it, as well as all of the dies. TFS! Your card is so beautiful!! Love the colors!! I love this! Just beautiful - thanks for sharing. Beautiful card! I love the paper you used. 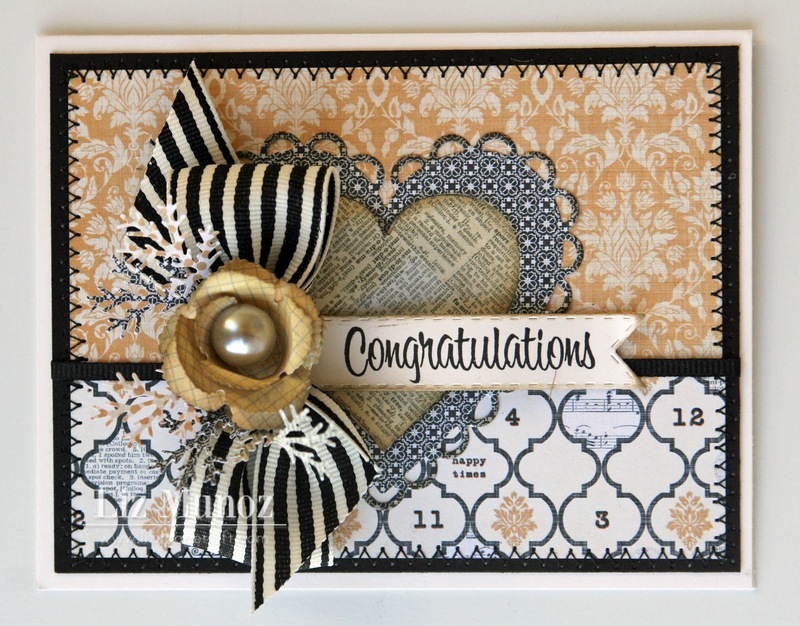 Your card shows that these dies can go from playful to sophisticated with just the right paper choice! So lovely...I'm always blown away by your designs, my friend. Thanks for sharing. Beautiful. 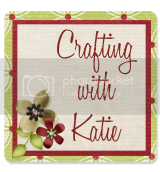 Love the colors of your card and stitching. Liz ~ this SCREAM GORGEOUS to me!! I just LOVE this color combination and ALL the details ~ WOW!!! I LOVE that this die ~ the inside heart ~ fits PERFECTLY in the center for double sided paper! !